Nhân đây, chúng tôi xin chia sẻ một số nghiên cứu mới nhất về bệnh sán dây và ấu trùng sán dây lợn. 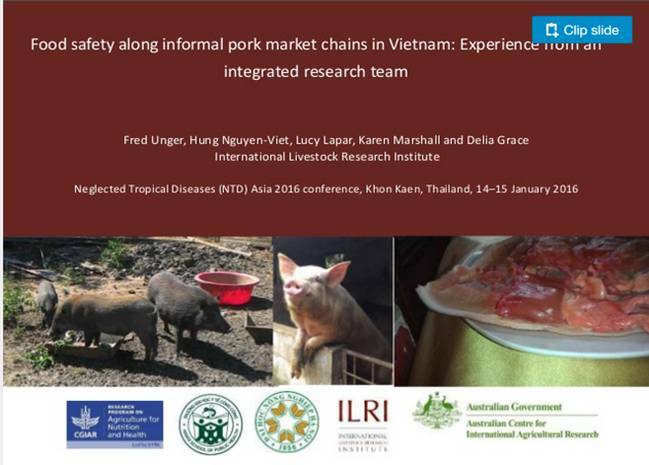 A systematic review o­n the global occurrence of Taenia hydatigena in pigs and cattle. Nguyen MT, Gabriël S, Abatih EN, Dorny P.Vet Parasitol. 2016 Aug 15;226:97-103. doi: 10.1016/j.vetpar.2016.06.034. Epub 2016 Jun 25. Review.PMID: 27514893 Similar articlesSelect item 20083357 71. 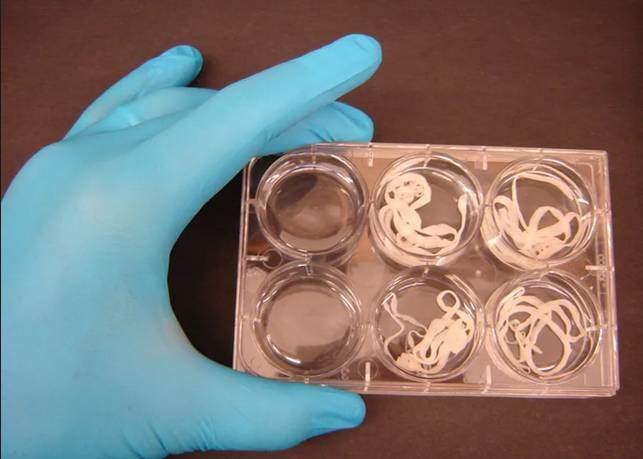 Development and field evaluation of a new serological test for Taenia saginata cysticercosis. Ogunremi O, Benjamin J.Vet Parasitol. 2010 Apr 19;169(1-2):93-101. doi: 10.1016/j.vetpar.2009.12.014. Epub 2009 Dec 22.PMID: 20083357 Similar articlesSelect item 28923090 72. Mapping occurrence of Taenia solium taeniosis/cysticercosis and areas at risk of porcine cysticercosis in Central America and the Caribbean basin. Braae UC, Devleesschauwer B, Sithole F, Wang Z, Willingham AL.Parasit Vectors. 2017 Sep 18;10(1):424. doi: 10.1186/s13071-017-2362-7. Review.PMID: 28923090 Free PMC Article Similar articles Select item 4559145 73. Taeniasis and cysticercosis (Taenia saginata). Pawlowski Z, Schultz MG.Adv Parasitol. 1972;10:269-343. Review. No abstract available. PMID: 4559145 Similar articlesSelect item 23499482 74. Bovine cysticercosis--development of a real-time PCR to enhance classification of suspect cysts identified at meat inspection. Cuttell L, Owen H, Lew-Tabor AE, Traub RJ.Vet Parasitol. 2013 May 1;194(1):65-9. doi: 10.1016/j.vetpar.2013.02.018. Epub 2013 Feb 28.PMID: 23499482 Similar articlesSelect item 23452760 75. Molecular identification of species of Taenia causing bovine cysticercosis in Ethiopia. Hailemariam Z, Nakao M, Menkir S, Lavikainen A, Iwaki T, Yanagida T, Okamoto M, Ito A. J Helminthol. 2014 Sep;88(3):376-80. doi: 10.1017/S0022149X13000138. Epub 2013 Mar 4.PMID: 23452760 Similar articles Select item 23516650 76. Prevalence and risk factors associated with human Taenia solium infections in Mbozi District, Mbeya Region, Tanzania. Mwanjali G, Kihamia C, Kakoko DV, Lekule F, Ngowi H, Johansen MV, Thamsborg SM, Willingham AL 3rd. PLoS Negl Trop Dis. 2013;7(3):e2102. doi: 10.1371/journal.pntd.0002102. Epub 2013 Mar 14. PMID: 23516650 Free PMC Article Similar articles Select item 12781371 77. Proceedings of the International Workshop o­n Taenia solium Cysticercosis/Taeniosis with Special Focus o­n Eastern and Southern Africa. Arusha, Tanzania, 19-22 August 2002. Acta Trop. 2003 Jun;87(1):1-186. No abstract available. PMID: 12781371 Similar articlesSelect item 12781376 78. Regional status, epidemiology and impact of Taenia solium cysticercosis in Western and Central Africa. Zoli A, Shey-Njila O, Assana E, Nguekam JP, Dorny P, Brandt J, Geerts S.
Acta Trop. 2003 Jun;87(1):35-42. Review. PMID: 12781376 Similar articlesSelect item 16376140 79. Taeniasis and cysticercosis in Bali and North Sumatra, Indonesia. Wandra T, Depary AA, Sutisna P, Margono SS, Suroso T, Okamoto M, Craig PS, Ito A.
Parasitol Int. 2006;55 Suppl:S155-60. Epub 2005 Dec 20. Review. PMID: 16376140 Similar articlesSelect item 15510685 80. Recovery of putative taeniid eggs from silt in water associated with an outbreak of bovine cysticercosis. Can Vet J. 2004 Sep;45(9):758-60. Phiri IK, Dorny P, Gabriel S, Willingham AL 3rd, Speybroeck N, Vercruysse J.
Vet Parasitol. 2002 Aug 30;108(1):31-9. PMID: 12191897 Similar articlesSelect item 27469533 82. 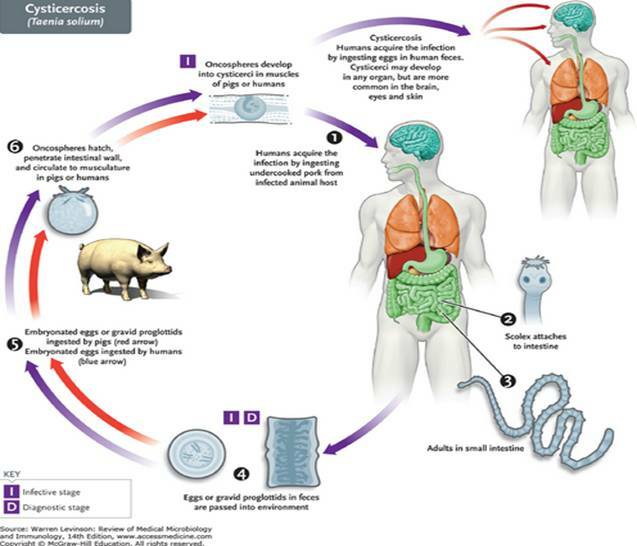 Updating Taenia asiatica in humans and pigs. Parasitol Res. 2016 Nov;115(11):4423-4425. Epub 2016 Jul 28. PMID: 27469533 Similar articlesSelect item 12781378 83. Rajshekhar V, Joshi DD, Doanh NQ, van De N, Xiaonong Z.
Acta Trop. 2003 Jun;87(1):53-60. Review. PMID: 12781378 Similar articlesSelect item 26536396 84. Assessment of a computer-based Taenia solium health education tool 'The Vicious Worm' o­n knowledge uptake among professionals and their attitudes towards the program. Ertel RL, Braae UC, Ngowi HA, Johansen MV. Acta Trop. 2017 Jan;165:240-245. doi: 10.1016/j.actatropica.2015.10.022. Epub 2015 Nov 1. PMID: 26536396 Similar articlesSelect item 8472640 85. [Epidemiologic studies of C. bovis and T. saginata infections in eastern and western Germany]. Dtsch Tierarztl Wochenschr. 1993 Mar;100(3):110-4. German. PMID: 8472640Similar articles Select item 30662963 86. Spatiotemporal distribution and economic loss associated with bovine cysticercosis and human taeniasis in Ethiopia. Parasite Epidemiol Control. 2018 Nov 17;4:e00078. doi: 10.1016/j.parepi.2018.e00078. eCollection 2019 Feb. Review. PMID: 30662963 Free PMC Article Similar articles Select item 21524428 87. Comparison of bovine cysticercosis prevalence detected by antigen ELISA and visual inspection in the North East of Spain. Allepuz A, Gabriël S, Dorny P, Napp S, Jansen F, Vilar MJ, Vives L, Picart L, Ortuño A, Gutiérrez J, Casal J.
Res Vet Sci. 2012 Jun;92(3):393-5. doi: 10.1016/j.rvsc.2011.03.027. Epub 2011 Apr 23. PMID: 21524428 Similar articlesSelect item 22651388 88. Seroprevalence of major bovine-associated zoonotic infectious diseases in the Lao People's Democratic Republic. 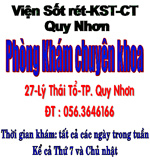 Vongxay K, Conlan JV, Khounsy S, Dorny P, Fenwick S, Thompson RC, Blacksell SD. 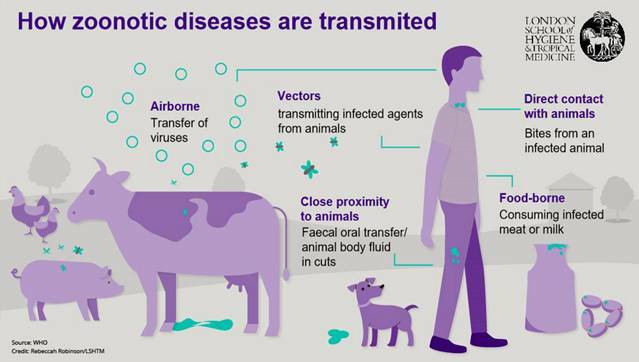 Vector Borne Zoonotic Dis. 2012 Oct;12(10):861-6. doi: 10.1089/vbz.2011.0850. Epub 2012 May 31. PMID: 22651388 Similar articles Select item 30230445 89. Taenia solium cysticercosis in West Africa: status update. Melki J, Koffi E, Boka M, Touré A, Soumahoro MK, Jambou R.
Parasite. 2018;25:49. doi: 10.1051/parasite/2018048. Epub 2018 Sep 18. Review. PMID: 30230445 Free PMC Article Similar articles Select item 13283512 90. Bovine cysticercosis in Great Britain from July, 1950, to December, 1953, with some notes o­n meat inspection and the incidence of Taenia saginata in man. Ann Trop Med Parasitol. 1955 Dec;49(4):429-35. No abstract available. PMID: 13283512 Similar articlesSelect item 23483261 91. An immunoblot for detection of Taenia saginata cysticercosis. Abuseir S, Nagel-Kohl U, Wolken S, Strube C.
Parasitol Res. 2013 May;112(5):2069-73. doi: 10.1007/s00436-013-3368-5. Epub 2013 Mar 13. PMID: 23483261 Similar articlesSelect item 19329200 92. A survey of bovine cysticercosis/human taeniosis in Northern Turkana District, Kenya. Asaava LL, Kitala PM, Gathura PB, Nanyingi MO, Muchemi G, Schelling E.
Prev Vet Med. 2009 Jun 1;89(3-4):197-204. doi: 10.1016/j.prevetmed.2009.02.010. Epub 2009 Mar 28. PMID: 19329200 Similar articlesSelect item 28669015 93. Gómez-Morales MA, Gárate T, Blocher J, Devleesschauwer B, Smit GSA, Schmidt V, Perteguer MJ, Ludovisi A, Pozio E, Dorny P, Gabriël S, Winkler AS. Eur J Clin Microbiol Infect Dis. 2017 Nov;36(11):2029-2040. doi: 10.1007/s10096-017-3029-1. Epub 2017 Jul 1. Review. 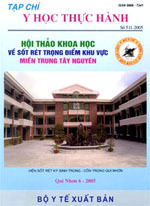 PMID: 28669015 Free PMC Article Similar articles Select item 19568950 94. Prevalence of bovine cysticercosis in slaughtered cattle in Iran. Khaniki GR, Raei M, Kia EB, Haghi AM, Selseleh M.
Trop Anim Health Prod. 2010 Feb;42(2):141-3. doi: 10.1007/s11250-009-9399-3. Epub 2009 Jul 1. PMID: 19568950 Similar articles Select item 12781375 95. The current status of neurocysticercosis in Eastern and Southern Africa. Mafojane NA, Appleton CC, Krecek RC, Michael LM, Willingham AL 3rd. Acta Trop. 2003 Jun;87(1):25-33. Review. PMID: 12781375 Similar articlesSelect item 1822895 96. The situation of cysticercosis/taeniasis in animals/man in Bali. Southeast Asian J Trop Med Public Health. 1991 Dec;22 Suppl:236-8. Review. PMID: 1822895 Similar articles Select item 27769720 97. Molecular analyses reveal two geographic and genetic lineages for tapeworms, Taenia solium and Taenia saginata, from Ecuador using mitochondrial DNA. Solano D, Navarro JC, León-Reyes A, Benítez-Ortiz W, Rodríguez-Hidalgo R.
Exp Parasitol. 2016 Dec;171:49-56. doi: 10.1016/j.exppara.2016.10.015. Epub 2016 Oct 18. PMID: 27769720 Similar articlesSelect item 16956727 98. Sikasunge CS, Phiri IK, Phiri AM, Dorny P, Siziya S, Willingham AL 3rd. PMID: 16956727 Similar articlesSelect item 8312963 99. Schantz PM, Cruz M, Sarti E, Pawlowski Z. Bull Pan Am Health Organ. 1993;27(4):397-403. PMID: 8312963 Similar articles Select item 29649259 100. Development of the multi-epitope chimeric antigen rqTSA-25 from Taenia saginata for serological diagnosis of bovine cysticercosis. Guimarães-Peixoto RPM, Pinto PSA, Santos MR, Zilch TJ, Apolinário PF, Silva-Júnior A.
PLoS Negl Trop Dis. 2018 Apr 12;12(4):e0006371. doi: 10.1371/journal.pntd.0006371. eCollection 2018 Apr. Development of a biomolecular assay for postmortem diagnosis of Taenia saginata Cysticercosis. Chiesa F, Dalmasso A, Bellio A, Martinetti M, Gili S, Civera T.
Foodborne Pathog Dis. 2010 Oct;7(10):1171-5. doi: 10.1089/fpd.2009.0530. PMID: 20618079 Similar articlesSelect item 3793396 102. Studies o­n Taenia saginata cysticercosis in eastern Nigeria. Int J Zoonoses. 1986 Jun;13(2):98-103. PMID: 3793396 Similar articlesSelect item 21105600 103. Prevalence of bovine cysticercosis and hydatidosis in Jimma municipal abattoir, South West Ethiopia. Tolosa T, Tigre W, Teka G, Dorny P.
Onderstepoort J Vet Res. 2009 Sep;76(3):323-6. PMID: 21105600 Similar articlesSelect item 24412867 104. [Cysticercus bovis in slaughtered cattle in the Afyonkarahisar and Burdur provinces and its importance from the point of view of public health]. Kuş FS, Sevimli FK, Miman Ö.
Turkiye Parazitol Derg. 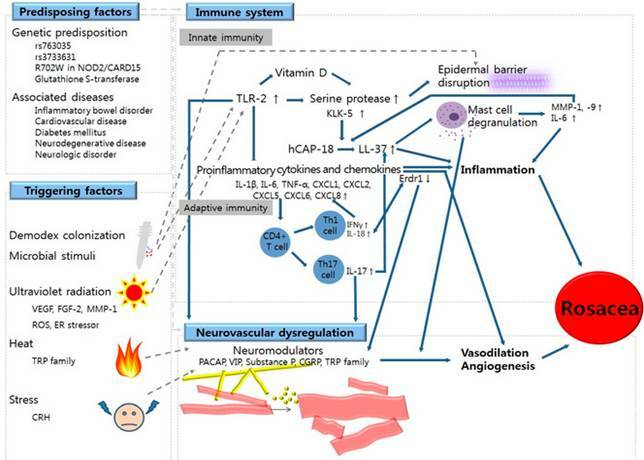 2013;37(4):262-8. doi: 10.5152/tpd.2013.3239. Turkish. PMID: 24412867 Free Article Similar articles Select item 22620676 105. A change in the epidemiology of bovine cysticercosis in Israel between 1973 and 2008 due to import of live cattle. Meiry M, Brenner G, Markovitcs A, Klement E.
Transbound Emerg Dis. 2013 Aug;60(4):298-302. doi: 10.1111/j.1865-1682.2012.01344.x. Epub 2012 May 24. PMID: 22620676 Similar articlesSelect item 30812327 106. 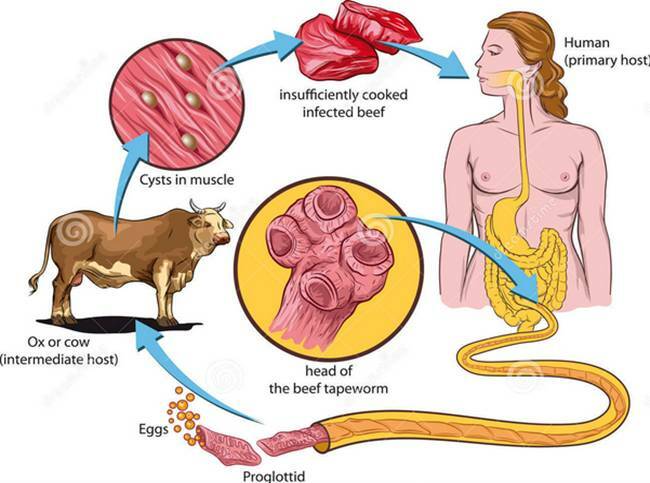 Tapeworms, Meat and Man: A Brief Review and Update of Cysticercosis Caused by Taenia Saginata and Taenia Solium. J Food Prot. 1979 Jan;42(1):58-64. doi: 10.4315/0362-028X-42.1.58. PMID: 30812327 Similar articlesSelect item 30725839 107. 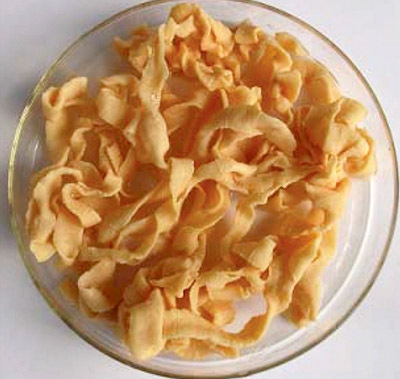 Tapeworm (Taenia Solium, Taenia Saginata, Diphyllobothrium, Cysticercosis, Neurocysticercosis). PMID: 30725839 Free Books & Documents Similar articles Select item 30873931 108. 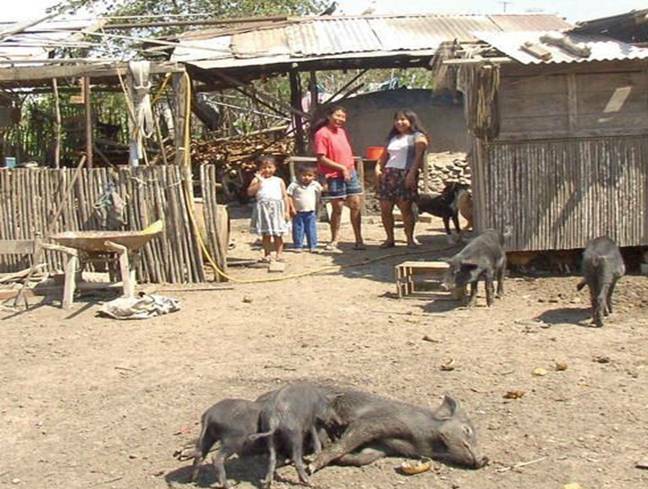 Short communication: Four cases of Taenia saginata taeniasis in urban Venezuelan communities. Rojas G, Martínez M, Corrales Y, Mijares V, León L, Medina C, Ferrer E, Parkhouse RME, Cortéz MM. PMID: 30873931 Similar articlesSelect item 29276585 109. Intestinal perforation and peritonitis due to Taenia saginata: A case report from Iran. Soosaraei M, Alizadeh S, Fakhar M, Banimostafavi ES, Hezarjaribi HZ. Ann Med Surg (Lond). 2017 Nov 15;24:74-76. doi: 10.1016/j.amsu.2017.11.021. eCollection 2017 Dec.
PMID: 29276585 Free PMC Article Similar articles Select item 30776322 110. Lauridsen S, Braae UC, Ngowi HA, Johansen MV. PMID: 30776322 Free Article Similar articlesSelect item 30727977 111. Shin JH, Won EJ, Jung JS, Park KH, Nam KI, Kim SH, Shin JH. BMC Infect Dis. 2019 Feb 6;19(1):115. doi: 10.1186/s12879-019-3758-0. PMID: 30727977 Free PMC Article Similar articlesSelect item 30791006 112. Notes o­n Afrotropical Cydnidae (Heteroptera) with emphasis o­n vehicle-mounted net samples and description of a new species from Liberia, West Africa. Zootaxa. 2019 Feb 20;4559(3):559-567. doi: 10.11646/zootaxa.4559.3.6. PMID: 30791006 Similar articlesSelect item 30777134 113. Trevisan C, Sotiraki S, Laranjo-González M, Dermauw V, Wang Z, Kärssin A, Cvetkovikj A, Winkler AS, Abraham A, Bobić B, Lassen B, Cretu CM, Vasile C, Arvanitis D, Deksne G, Boro I, Kucsera I, Karamon J, Stefanovska J, Koudela B, Pavlova MJ, Varady M, Pavlak M, Šarkūnas M, Kaminski M, Djurković-Djaković O, Jokelainen P, Jan DS, Schmidt V, Dakić Z, Gabrië S, Dorny P, Omeragić J, Alagić D, Devleesschauwer B.
Parasit Vectors. 2019 Feb 18;12(1):84. doi: 10.1186/s13071-019-3328-8. PMID: 30777134 Free PMC Article Similar articles Select item 30781232 114. Distribution of Chrysoporthe Canker Pathogens o­n Eucalyptus and Syzygium spp. in Eastern and Southern Africa. Nakabonge G, Roux J, Gryzenhout M, Wingfield MJ. Plant Dis. 2006 Jun;90(6):734-740. doi: 10.1094/PD-90-0734. PMID: 30781232 Similar articlesSelect item 30795397 115. Epidemiology and Chemical Control of Soybean Rust in Southern Africa. Plant Dis. 2005 Jun;89(6):669-674. doi: 10.1094/PD-89-0669. PMID: 30795397 Similar articlesSelect item 29207846 116. Tiny Creature in Oral Cavity: A Case Report. Singh C, Devi MP, Sagar K.
J Clin Diagn Res. 2017 Sep;11(9):ZD04-ZD05. doi: 10.7860/JCDR/2017/27834.10583. Epub 2017 Sep 1. PMID: 29207846 Free PMC Article Similar articles Select item 29535435 117. Taenia saginata Infection Diagnosed Based o­n the Number of Uterine Branches Observed During Capsule Endoscopy. Am J Gastroenterol. 2018 Mar;113(3):327. doi: 10.1038/ajg.2017.444. No abstract available. PMID: 29535435 Similar articlesSelect item 29850644 118. Taenia saginata as a Cause of Bowel Obstruction. Wani AA, Ilyas M, Robbani I, Taley SA. ACG Case Rep J. 2018 May 23;5:e37. doi: 10.14309/crj.2018.37. eCollection 2018. No abstract available. PMID: 29850644 Free PMC Article Similar articles Select item 30718855 119. Connecting palaeoscientists in eastern Africa and the wider world. Alemseged Z, Njau J, Pobiner B, Ndiema E.
Nat Ecol Evol. 2019 Mar;3(3):330-331. doi: 10.1038/s41559-019-0800-y. No abstract available.